We wish this car were an April Fools' Day joke. It isn't. For just $200 less than the asking price of a brand-new 2019 Toyota Corolla, one can buy possibly the worst Oldsmobile in existence. 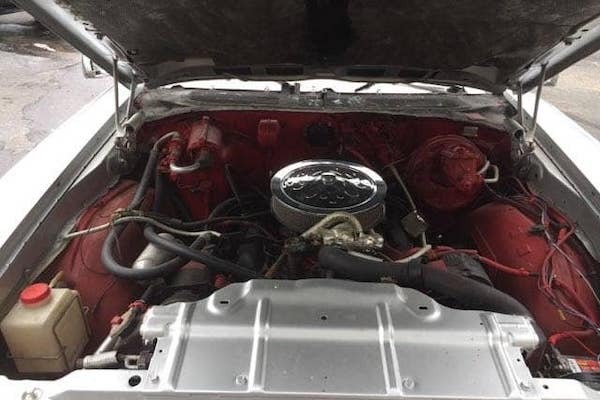 Listed for sale on Facebook, this HOA ticket-baiting 1972 Oldsmobile Cutlass is for sale for the princely sum of $18,500. 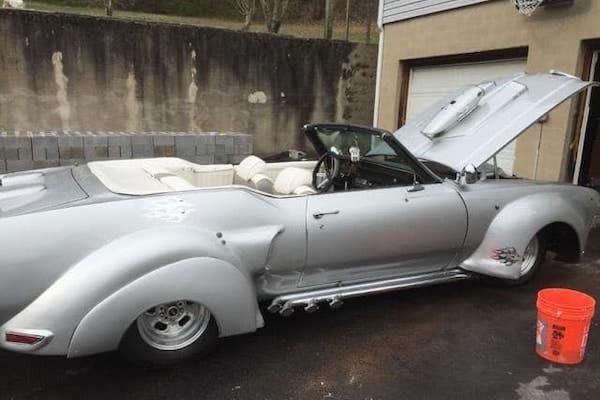 Sold as a "1 of a kind sports car! ", its bodywork has been cobbled together from a variety of vehicles, some of obvious origins, others not. 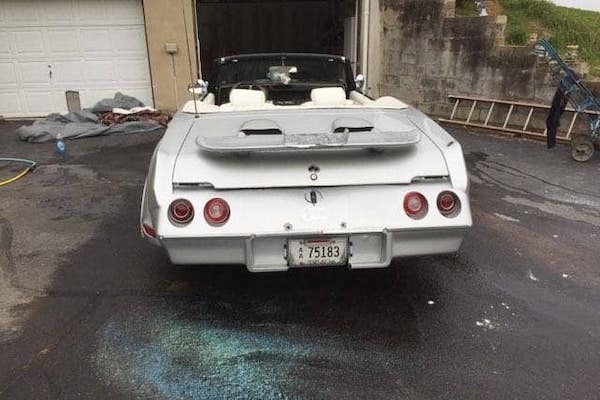 Easiest to identify is the car's rear bumper, which comes from a 1974-onward Chevrolet Corvette C3. 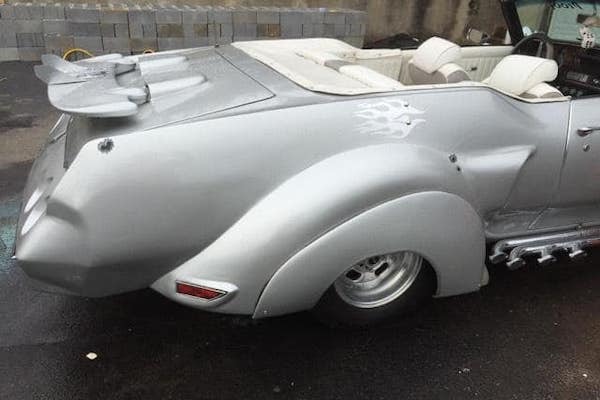 Trickier is the nondescript, rounded fender flares (not even filled by the stock-width wheels up front), a style seen primarily on cars built before 1950—they could be from almost anything. Hanging off the sills are bizarre, presumably fake side-exit exhaust pipes, each with a pipe flange at their strangely distributed tips—one pipe has three tips, and the other, just one. Things don't get any less tacky up front. Not one, not two, but three hood scoops (non-functional) pilfered from the Autozone dumpster have been taped to the hood, and several stickers that appear to be small flames can be found further up the hood, as if the motif wasn't overused elsewhere across the car. A vinyl banner stretched across the windshield reads "Bullet Proof," and fuzzy dice (of course) hang from the rearview mirror. 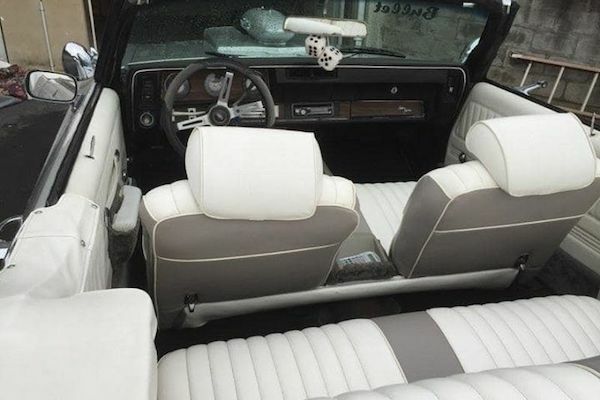 Going by the bright matte finish, unattractive color combination, and mixed build quality of the car's upholstery, it was probably done by someone whose primary job is boat restoration, and not at the high end of the biz. 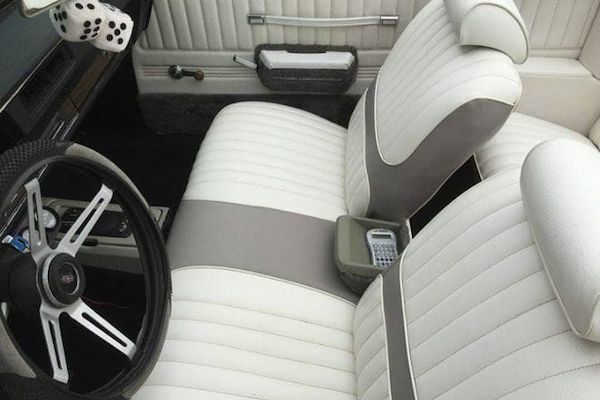 Even the steering wheel looks like it belongs on a blue-collar watercraft rather than a car, though given the base Cutlass's handling ability (or lack thereof), it may be a fitting modification. 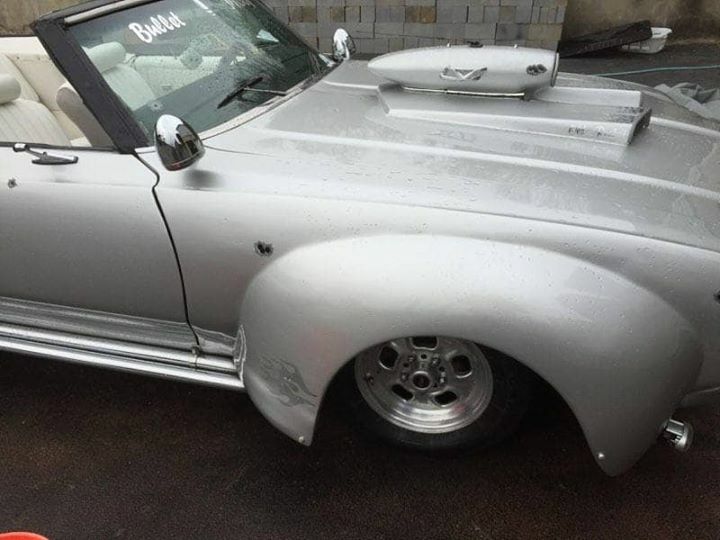 "Has won trophies at car shows, pictures dont do it justice!! [sic]," says the car's seller, who listed it online on behalf of her father. They don't state whether these trophies are for winning anything, or merely participation—likely the latter. 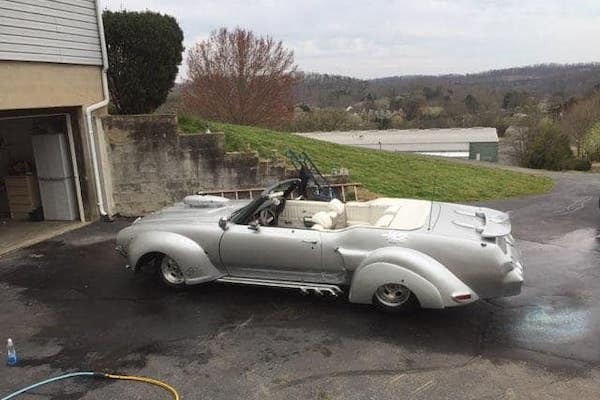 But if anything would do this poor Oldsmobile justice, it'd be either a roll cage and an entry into the 24 Hours of Lemons, or a gallon of lighter fluid and a match. This under-loved engine makes noises that'll curl your toes.